View clear figures of how many visitors land on your website every day. YoKart offers statistics of daily, weekly and monthly visitors, top referrers as well as information about visitors’ countries to help you learn more about them. Sales report includes details of transactions taking place over your marketplace. It includes data related to sales earnings, orders, shipping, tax, refunds, etc. Use this report to view total orders and their particulars. Keep a watch on traffic and learn about the sources through which you get maximum and minimum users. 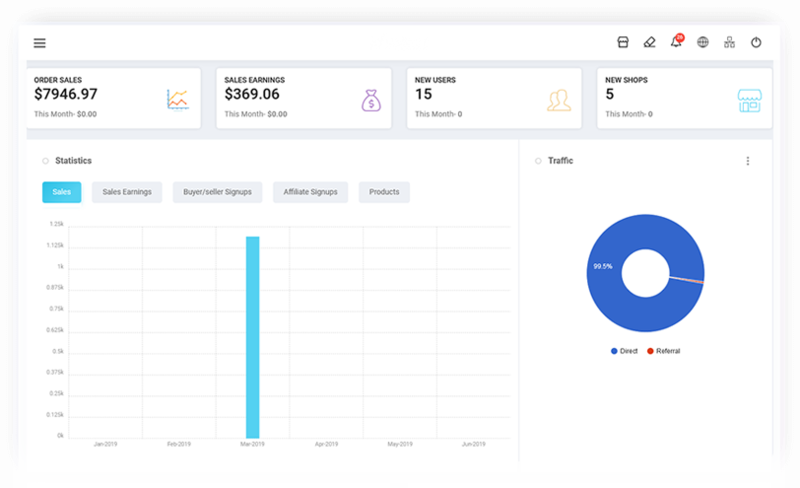 Improve user targeting and overall marketing process based on the insights gathered from traffic analytics. Why analytical tools are important for an ecommerce store? YoKart offers you the ease to know which of your social profiles and campaigns get more visitors to your eCommerce store. 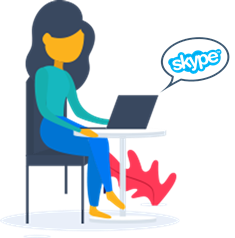 Social, being a great way to boost sales and branding is one area of marketing on which businesses invest a good deal of time and money. The data gathered from YoKart’s social analytics will ensure that your social media marketing strategy is on the right track. 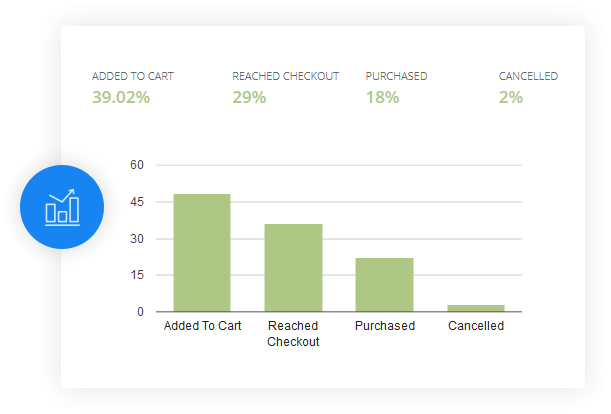 Make your sales funnel better with conversion statistics of YoKart. This segment of reports gives deep insights into various aspects of buyer journey. Here you can see how many orders reached checkout and how many got cancelled. The percentage of products added to cart, purchased and cancelled will enable you to understand what lacks in your conversion funnel and what needs your attention. Know about the total number of orders placed, sales made by each shop and commissions earned from those orders/sales. Viewing all this at one place makes it easy for the admin to keep tabs on earnings made from commission. Tax reports of YoKart lets you evaluate tax against each order processed through the marketplace. Here you will view number of orders placed with each shop along with the amount of tax. View important details of sold products like unit price, number of orders, shipping cost, tax, and commission. This report gets updated automatically as new products get sold. Get insightful data about where your traffic is coming from. 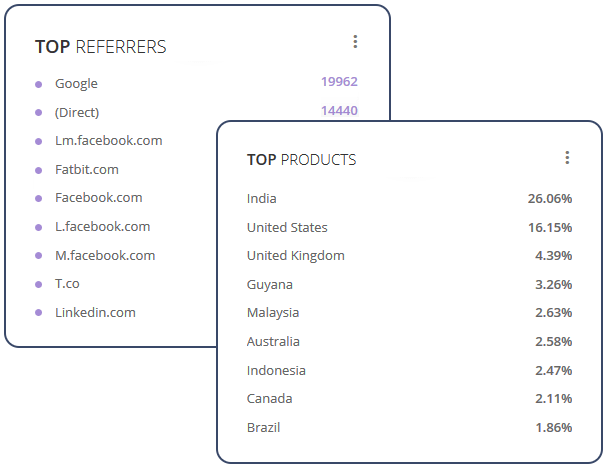 YoKart’s analytics will help you see which are the top referrer sites and which country brings more traffic to you. Tune in this data with your current marketing budget and goals to improve referral traffic. 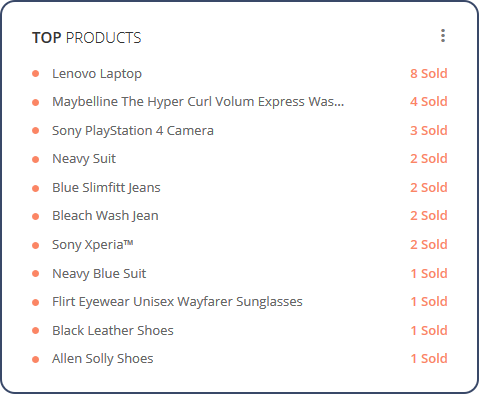 See right on your dashboard, which are the top selling products on your store. To get more precise information, you can add filters (today, weekly, monthly, yearly) to these results and learn about products that get sold most on a certain day, in a week, month or a year.